You can see a few preview pages here. This adventure is actually a trio of adventures, framed by a fourth adventure that ties them together. But they’re designed so that they can be run separately. 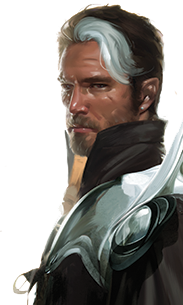 The part I really love is that even though it’s a big (96-page) adventure, your players can still make meaningful choices. You’re not locked into a railroad of a campaign. Even if used together, the adventures can be run in any order. 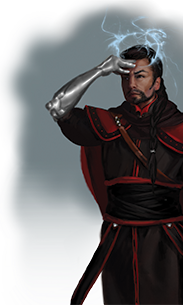 Another thing I love is that Numenera adventures don’t require giant stat blocks every time you present a new NPC. So that means there’s more room in the adventure for, well, adventure. 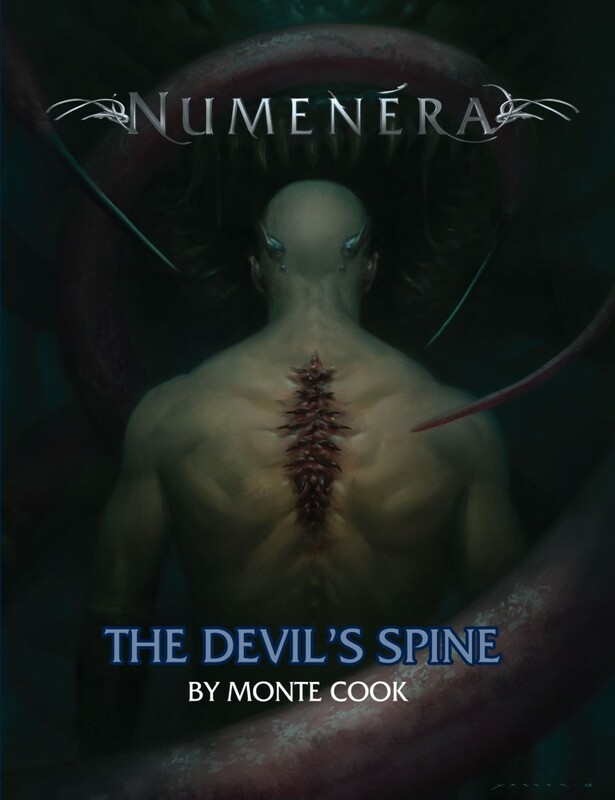 Like all good Numenera adventures, The Devil’s Spine involves a lot of exploration and discovery. 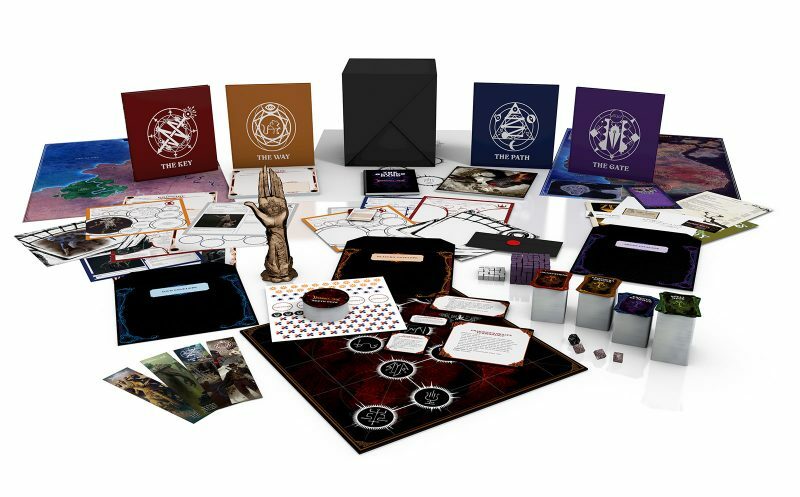 For example, if you’re a GM who wondered how you can make an extended exploration-based encounter with little or no combat, you’re going to find the first part of the chapter entitled Viral Transmissions very interesting. 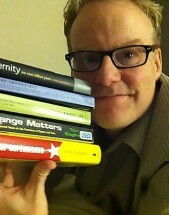 I don’t want to give too much away (no spoilers! ), but the varied nature of the encounters and locations in this adventure is certainly one of its strengths. 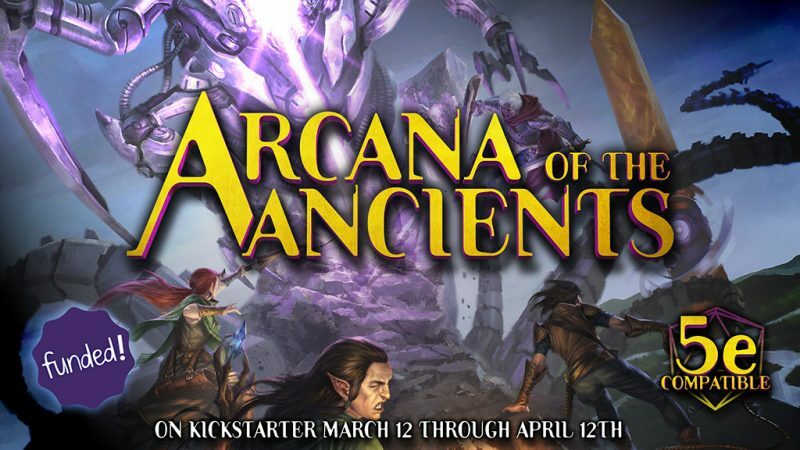 There’s intrigue among the nobility, travel through unexplored wilderness, negotiations in an urban environment, exploration of the ruins of the prior worlds, assassins, betrayals, an ancient tomb built in a far more ancient structure, an exploration into the ocean depths, and encounters with beings from well beyond the Ninth World as we know it. 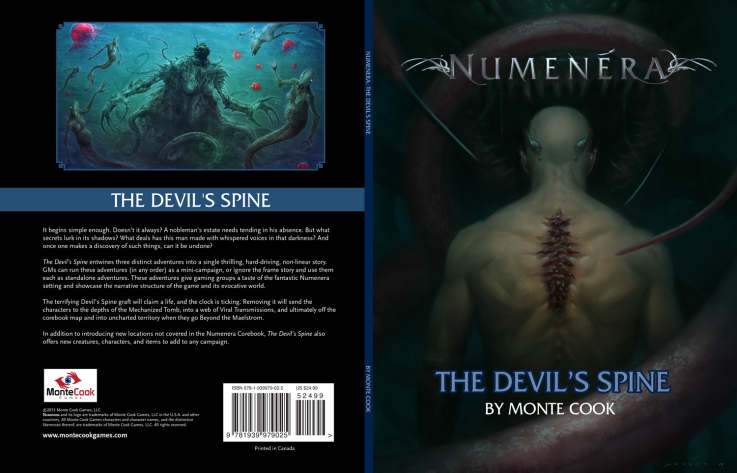 It’s also worth noting that, as the cover might suggest, The Devil’s Spine is a very creepy scenario involving parasitic grafts that adhere to the flesh, intelligent viruses, and things living in the dark (and the depths) that you really don’t ever want to encounter. 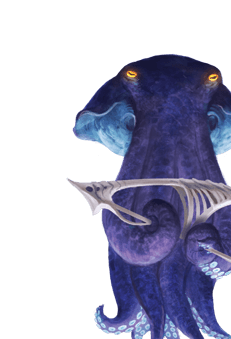 In The Devil’s Spine, you’ll also find new fully-statted creatures, new cyphers, oddities, and artifacts, and lots of Numenera’s trademark weirdness. 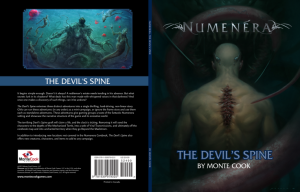 I think The Devil’s Spine is one of my favorite adventures that I’ve worked on in my career. 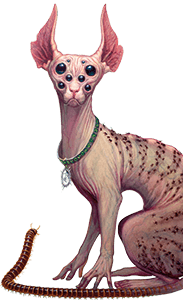 I think it will make an excellent addition to any and all Numenera campaigns.